Complementary medicine is the term used to describe a range of treatments that are offered outside of conventional western medicine. An increasing number of Australians are using a variety of mind and body practices to treat a wide range of conditions. Pregnant women are also increasingly turning to complementary therapies to help alleviate many of the common side effects of pregnancy, and to enhance their wellbeing during this challenging time. A recent survey found that up to 69% of Australians were using some form of complementary medicine, and up to 44% had visited a practitioner. Approximately 52% of pregnant women have reported using complementary therapies, with 32% having consulted a practitioner. Complementary therapies can be used alongside conventional medicine and should never replace routine antenatal care with your healthcare provider. Often women and their families are unsure which treatments are safe and effective for use in pregnancy, so we thought we’d provide a bit of information to help provide guidance. So, why are women turning to complementary medicines? There are a number of reasons why they are becoming increasingly popular, they give additional options to help with complaints like back pain and sciatica. Women can feel more active in managing their pregnancy and wellbeing, often they prefer to find a ‘natural’, holistic approach to help manage the discomfort of pregnancy symptoms. Complementary therapies can help to enhance their experience of pregnancy and birth. So, are complementary therapies safe to use in Pregnancy? We would always recommend consulting a professional complementary therapy practitioner. Practitioners should be appropriately qualified and affiliated with a professional body, to ensure they are working within a professional framework. Prior to engaging the services of a complementary therapist it would be sensible to ask if they are experienced/qualified to work with pregnancy. Acupuncture is a treatment derived from ancient Chinese medicine. Fine needles are inserted specific places on the body for therapeutic or preventative purposes. The needles may be inserted just under the skin or deeper into the muscle tissue and may be left in place from a few minutes or up to around 30 minutes. When carried out by a qualified practitioner, it is generally safe to have acupuncture when you’re pregnant. However, let your acupuncture practitioner know if you’re pregnant because certain acupuncture points can’t be used safely during pregnancy. If you have a bleeding disorder, such as haemophilia, or are taking anticoagulants, talk to your GP before you have acupuncture. 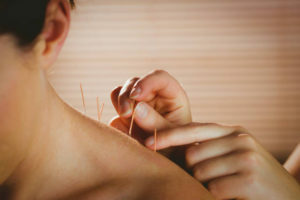 Acupuncture is also not usually advised if you have a metal allergy or an infection in the area where needles may be inserted. 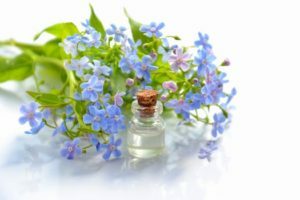 Aromatherapy is the use of highly concentrated essential oils, each oil is made up of different properties that absorb into the body’s blood stream and are then circulated around the body. Some essential oils are not safe for use in pregnancy, as all essential oils will cross the placenta to your baby. Some oils are safe to use at certain times during pregnancy and birth. It is therefore important you receive safe advice from a person trained in the use of aromatherapy in pregnancy. If you are unsure, then it is best to avoid using essential oils. • Enhance mental health – reduce stress, fear, anxiety and depression..
• Enhance your birthing experience. • Help your recovery after birth. Massage is one of the world’s most ancient therapies. It is well researched and the positive effects widely accepted. During pregnancy a gentle form of massage is recommended. Massage is the use of therapeutic touch to help you relax. It can help relax muscles, helps to rel ease tension, stimulates the circulation, can lower blood pressure and aids digestion. Massage in pregnancy can be very beneficial but it is important to find a therapist who is qualified to work with pregnant women. Many therapists have special massage tables that can accommodate pregnant women lying on their fronts. Swedish and aromatherapy massage are not usually recommended in early pregnancy (before 16 weeks), and during this time no massage should be applied to the abdomen. In late pregnancy gentle massage from your support person can help you to relax, and can help with some minor pregnancy concerns such as backache. Due to the changes in your posture, the added weight of the pregnancy and the increased physical demands, you can experience increased muscle tension and fatigue. Massage treatments during your pregnancy can greatly help relieve tension and improve physical and emotional wellbeing. Research shows that touch can stimulate the production of endorphins. Endorphins are your body’s natural pain relievers and aid relaxation and improve mood. Massage can help with the minor pregnancy symptoms such as backache, headaches, swollen hands and feet, carpal tunnel syndrome and anxiety. Labour is a normal and natural process, where your body instinctively takes over. Some women do not like being touched in labour but for many others, massage can be a great support – both emotionally and physically. Massages during labour can aid relaxation, lower back massage particularly can be very helpful in helping with pain. The demands both physically and emotionally of a new baby mean that massage is a fantastic way of finding some quality me-time. It can help ease the tension created during birth and from bending, lifting, carrying, bathing, feeding and caring for your baby. Receiving massage after birth aids relaxation, reduces anxiety and improves your wellbeing. It aids recovery and reduces your chance of developing postnatal depression. Research into reflexology is limited and it is uncertain how it actually works, but its relaxation, pain killing and nerve blocking effects are well documented. There are two main theories on how reflexology works: The first is that the parasympathetic nervous system (which is responsible for the body’s ‘rest and digest’ system and stores and maintains the body’s normal functions in a state of calm) is being positively stimulated; the other is that it works along the same principles as Acupuncture, where reflexology is stimulating and rebalancing the body’s energy pathways. ans of the body, which encourages the body’s natural healing and balance. Reflexology in pregnancy can be very beneficial. As with any complementary therapy, it is very important to find a therapist who is qualified to work with pregnant women. A complete medical history should be taken prior to any treatment. Reflexology is very relaxing and can help with stress related symptoms. Most women sleep well following a treatment and many report a sense of wellbeing. Although a treatment is very relaxing, many women report feeling more energy following a treatment. Other conditions that may be eased by reflexology are headaches, constipation, backache and pelvic pain. Reflexology is known to be cumulative and has shown to help prevent postnatal depression. Applying pressure to certain points on the feet can stimulate contractions and may therefore be an option to encourage labour if you go past your due date. However, please make sure that the therapist you see is trained and insured to use reflexology specifically for this purpose. 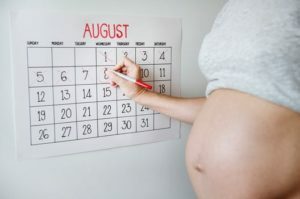 Many mums-to-be get fed up and uncomfortable by the end of pregnancy, but it is important to remember that childbirth is a normal physiological event and that intervention, even natural techniques like reflexology, may not be appropriate. Please consult with your midwife or obstetrician if you have any concerns. The relaxing effects of reflexology can provide you with some quality time-out and promote a sense of wellbeing. Reflexology has been shown to help with pain and certain breast feeding problems. Yoga involves breath awareness, physical postures and relaxation. Pregnancy yoga has been used throughout many centuries to promote health and wellbeing for mothers and babies. Is Yoga safe in pregnancy? It is recommended that pregnant women seek a class that is facilitated by a yoga practitioner that is qualified to teach yoga for pregnancy rather than to join a regular class. Yoga practices are used to facilitate relief from the common conditions of pregnancy and help mothers to cope with uncomfortable symptoms such as nausea, heartburn, backache, pelvic pain, insomnia, fatigue and anxiety. They are also used to help strengthen mothers both physically and emotionally to prepare them for labour. Yoga can help with attaining an optimal foetal position so that the baby is in the best position for labour and birth. Breathing and meditation practices are a skill that can be learnt by anyone, and can be used during everyday life to help lower stress hormones. During pregnancy this is particularly beneficial for the health and wellbeing of mothers and babies and for the development of their baby. During labour, these skills can encourage a calmer birthing experience. Postures help develop self-awareness, strength and flexibility. Attending a pregnancy yoga class can also provide support and friendship during a time of great change. It can be an fantastic opportunity for a mother-to-be to focus on her body and baby, and to nurture herself. What are the risks of complementary therapy in Pregnancy? Natural does not necessarily mean safe. There is limited scientific evidence to support the use of complementary therapies. Therapists may not be aware of the risks to pregnant women, and women often self-medicate with little knowledge of the risks. It is vital that anyone considering complementary therapy do their research first. If you have any medical conditions (associated with pregnancy or not), please check with your GP, obstetrician or midwife prior to seeking any complementary therapy treatments.